A Kinder, Simpler IRS Nonprofit Application! 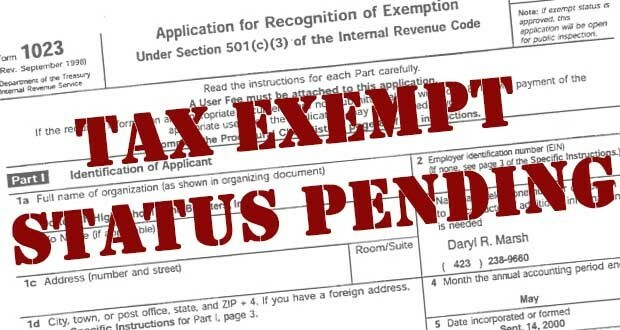 For those of you who have attempted to complete the 1023 application to be an IRS recognized nonprofit, you know it can be challenging, at best. It is long, detailed and some of the questions and requirements are so obscure that many people hire professionals or attorneys to help get the right information in the right place. Even with a difficult application and fees between $400 and $800, the number of applications is so great that the wait to be reviewed is now about 9 months, after which it may require an additional 3 months for any questions about the application to be raised. Making the clarifications or corrections can extend the time required before the exemption can be granted. Despite the allowance of 27 months between application and expiration, the process now can take more than a year. It is so short and sweet. That doesn’t mean you can be asleep at the wheel, attention to detail and clear plans are still required. And there will be, no doubt, as associated requirement for more disclosure on the 990 (nonprofit tax return) at the back end. A side effect of this new, simpler form may be an increase in the number of applications, which may slow down an already glacially slow system; so waiting for this form to be approved may not serve your interests. If you are in the process of applying now, think carefully about the work you have already put in, and if waiting for the shorter form will benefit you or not. But if you are still considering applying and the glass hill of the longer 1023 is in front of you, perhaps some patience will be worth it. Not sure? Give a call and we will be happy to discuss it. 310 828 6979.